A threat that has been passed around on social media that was reported to officials on Thursday, Feb. 22 has been deemed to be nonviable by Burbank Police. There is no source information at this time and it is still being investigated. Extra patrol has been assigned to Burbank schools as a precaution. Again, there is nothing to suggest this social media threat (which was second hand at the very least) has anything to do with Burbank Schools.” Green emphasized. A call placed to the Superintendent’s Office of the Burbank Unified School District also said it was a nonviable threat and Burbank police are at both high schools on extra patrol. The threat was also broadcast to all California Highway Patrol units to be advised of the situation but no further action was being taken. 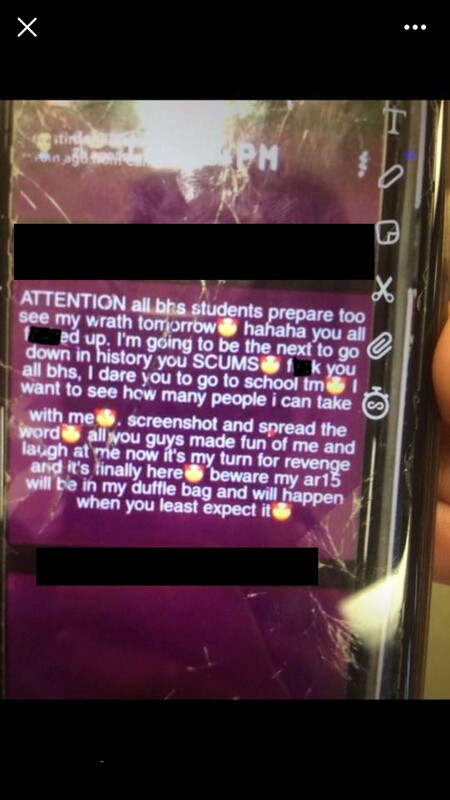 While the person who sent the threat said “BHS”, they did not specify Burbank High School. There are several other high schools in the area with the same initials of BHS. This entry was posted in District News, News, Police and tagged Burbank High School, Burbank Unified School District, phone threat on February 22, 2018 by Staff.